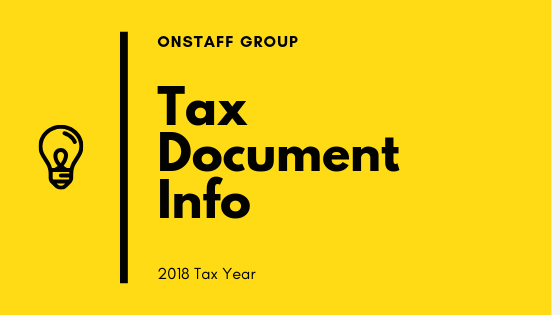 Attention all OnStaff current and former employees: Here is your basic information for the 2018 tax season. Please read the below information and contact us if you have any questions. If you need web portal access, please contact OnStaff USA today to be set up. Mailed ON or BEFORE 1/31/18. Please be advised: Due to extreme winter weather conditions throughout the state of Michigan on January 30-31, 2019, the U.S. Postal Service temporarily suspended mail delivery services to ensure the well-being of employees. This may potentially cause a minor delay in the delivery of W-2’s. Information about 1095-C and 1094-C Forms can be found here. For additional information about your filing status, forms and other instructions, visit the IRS website at https://www.irs.gov. Please contact your tax professional for any specific tax questions about your documents.